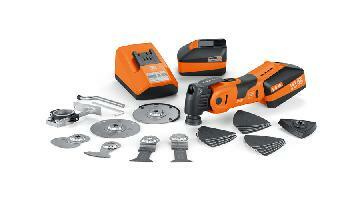 An entry level machine offering 250W of corded or 12V of cordless power. 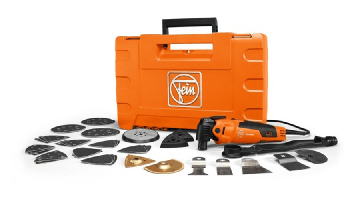 The entry level offers anti-vibration technology, is compatible with Starlock and Starlock Plus, and offering quick release or screw fitting accessory changes. 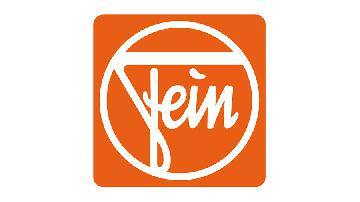 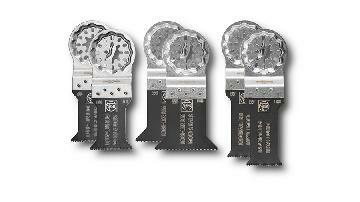 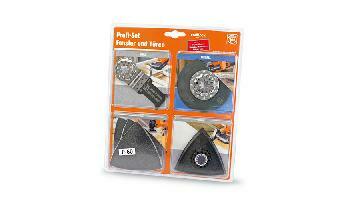 The Best of E-Cut set offers some of the best-selling Fein blades at a special offer price. 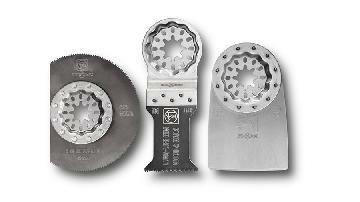 The accessory set contains 2 of each E-Cut long-life saw blades (35mm,50mm), as well as 2 E-Cut universal saw blades (28mm). 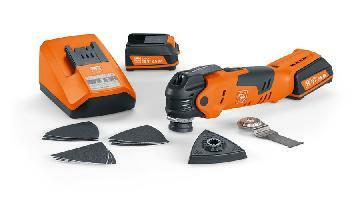 The best and most powerful multi-tool offered by the inventor of multi-tools, in 450W mains or 18V cordless power/brushless EC. 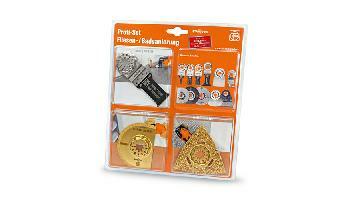 Compatible with all classes of Starlock and complete with anti-vibration technology, with quick release accessory changes.